We can provide standard inflatable buoys in many shapes including spheres, cylinders and triangles. 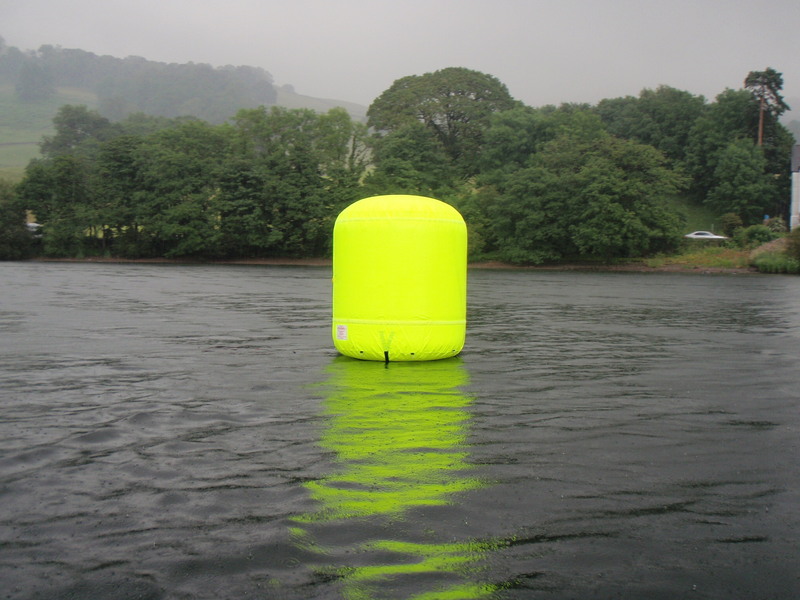 Our buoys can also be produced in a range of colours and sizes and are suitable for lakes and marine settings. We can also produce custom made shapes for unique branding opportunities. The sheer size of an inflatable buoy provides a great advertising space for your sponsor’s name and logo or the perfect space to promote your event. High frequency welded PVC make these water based buoys very strong and durable. We use a heavy duty PU inner bladder with a high visibility PVC polyester outer covering. We can digitally print directly onto the buoy or onto velcro removable panels. This gives you the option to rebrand or update if necessary. We can provide any accessories you need, including anchors, chains, ropes and an electric inflation fan for your buoy. Our inflatable buoys can be used as site or distance markers, turning point markers or the general demarcation of a route. Navigating a route can be tricky in any water sport events due to the lack of a well-defined course. Our colourful and distinctive buoys make it much easier for participants to follow the race course. 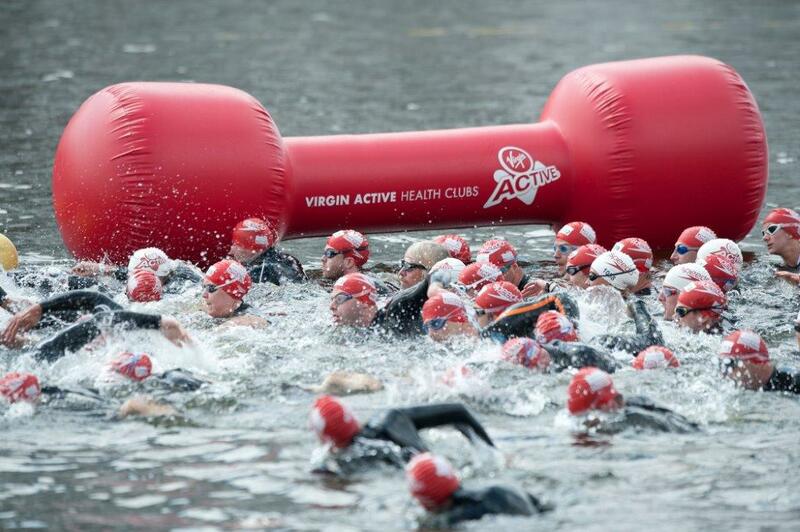 Inflatable buoys can also improve the safety of your open water sport event. They make it particularly safe for swimmers to stay on course and avoid any dangerous waters. The high visibility colours we use make our buoys difficult to miss. 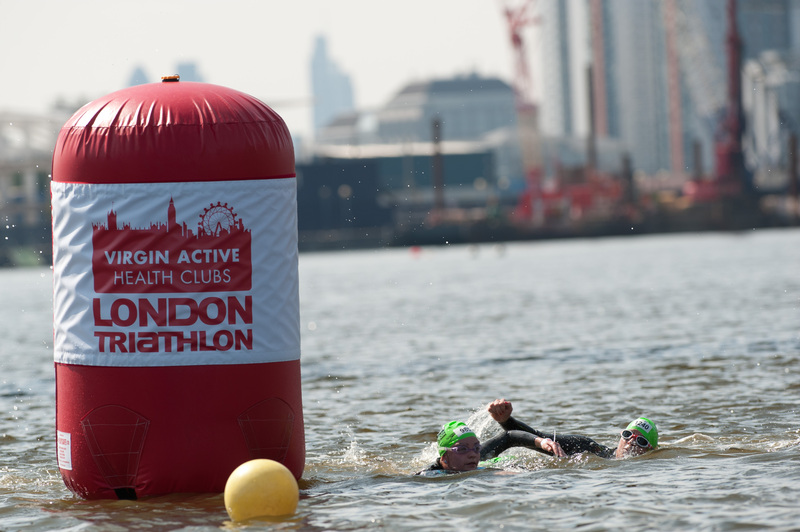 Our buoys are suitable for a wide range of sporting water events such as charity swims and triathlons as well as boat races for course markers and advertising. 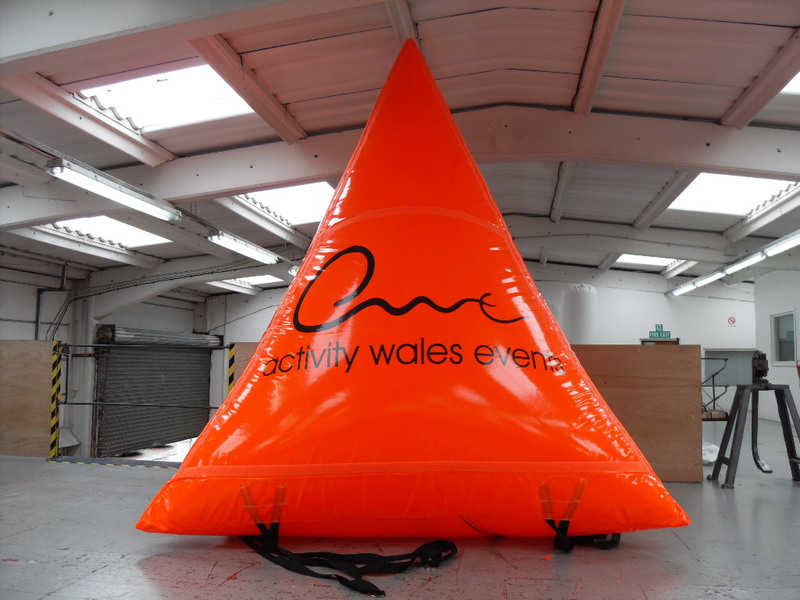 Have a look at some of the different types of inflatable buoys we have already made then give us a call to discuss the best buoys for your event.